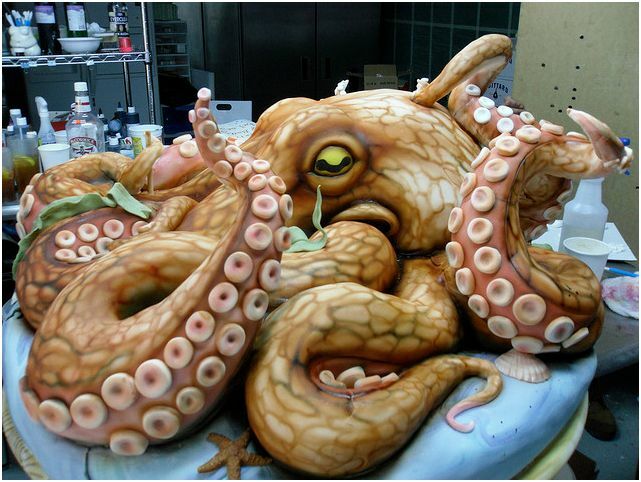 Check out this amazing octopus cake! Thanks very much to Karen Portaleo of Highland Bakery for your amazing craft. What would really be neat is a cake of a steampunk style ship being attacked by a giant octopus. There could even be little cookie sailors on the deck trying to fight off the attack.